Always thought that Dormammu should be higher than that but the showings do not bare it out. The only instance I can think of was a note in Dr. Strange. 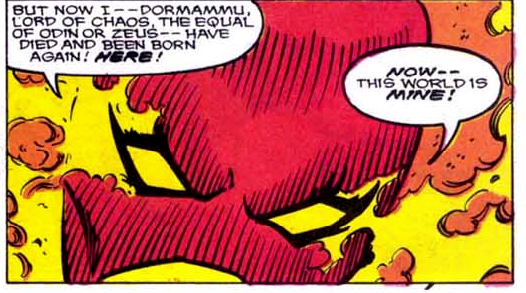 That the longer Dormammu was in the normal universe the stronger he would get until he would defeat even the Celestials. Or his showings of sort of canceling out Eternity in the one instance or defeating him with Umar. But both have asteriks with them.